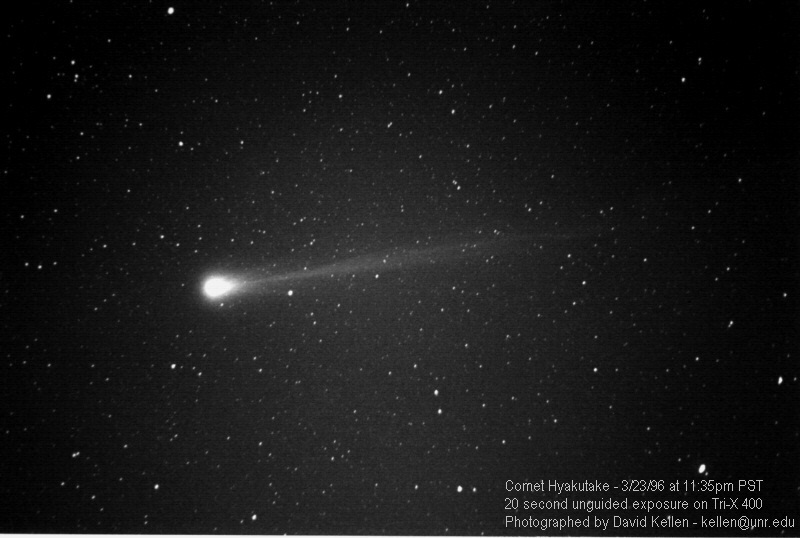 Comet Hyakutake on 3/23/96 at 11:35pm PST. Taken in Carson City, NV. Used Pentax K-1000 w/Kodak Tri-X 400 speed B/W film. Unguided exposure of 20 seconds.